Bond Solicitors has unique strengths and experience in the civil remedies of business crime through more than twenty years experience in this area. The legal and regulatory aspects of business are becoming ever more complex. The grey area where civil fraud, regulatory procedures and criminal investigation overlap is increasing. Individuals and businesses can be either victims of crime or on the wrong side of the law, without knowing they were even at risk. Having different sets of lawyers that specialise in the various areas of bribery, tax, competition, fraud, sanctions-related issues, market abuse, directors' disqualification and beyond can be a complex and costly process and can add to the strain of dealing with the issues. Our in-depth knowledge of the workings of regulators and investigators in the UK, Europe and US (SFO, FCA, CPS, HMRC, SEC, MOJ among others) allows us to offer advice to ensure our clients' affairs are compliant before any issue arises. We also provide training to both in-house counsel and staff. Should the regulator or investigator become involved or an issue arise, we think creatively about all options available. We recognise that the best results can often be achieved without litigation. We can advise on the best negotiation approaches based on significant inside experience. Immunities and Deferred Prosecution Agreements are some of the tools we deploy to achieve the best outcome for our clients. 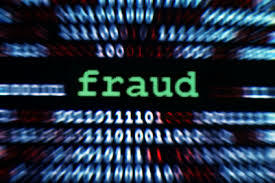 We have extensive capabilities for representing victims of fraud or other wrongful behaviours. We know how to use the court processes to help our clients achieve their goals: this includes judicial review to compel investigators and prosecutors to take action, or mounting private prosecutions. If a case does come to court and a client needs to be defended, we provide practical hands-on expertise to represent them at the very highest level in UK, US and other national courts. We regularly deal with matters such as: bribery, fraud, directors' disqualifications, money laundering, asset recovery, insider dealing and fraudulent trading. Regardless of the issues, we take pride in fiercely guarding our clients’ interests.